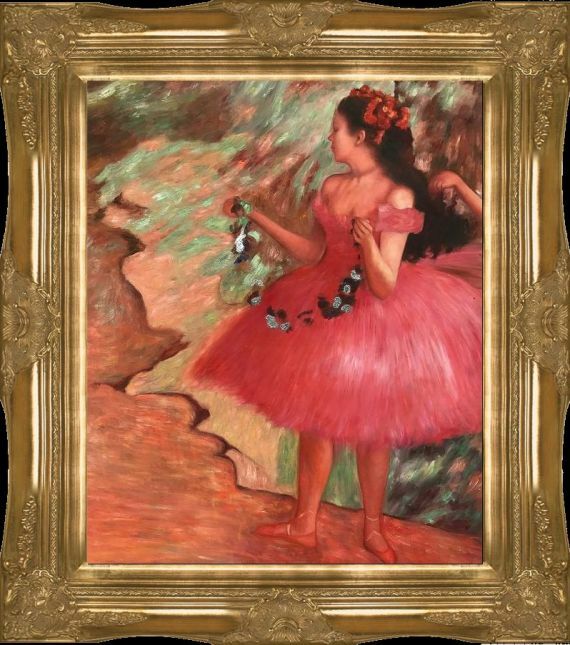 This painting is but one in the staggering 1,500 images that French artist Edgar Degas created of dancers over the course of his life. Not unlike his subjects, he practiced again and again in his pursuit of perfectly expressing their fluid grace. 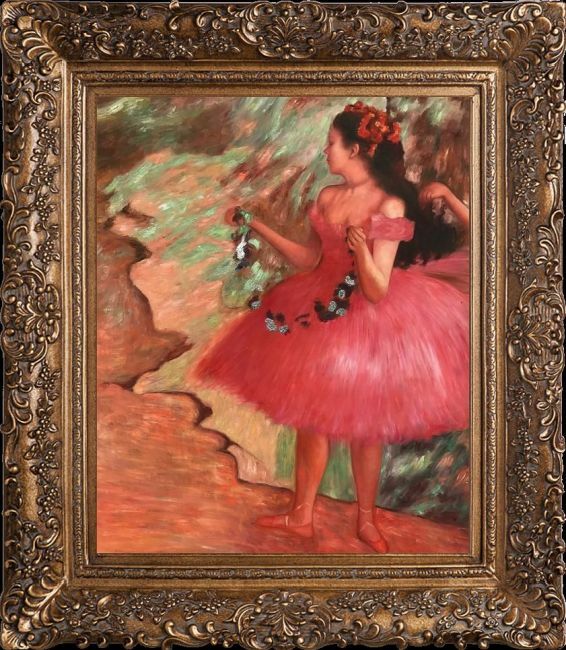 Though he preferred to be called a realist, Degas was closely connected to the Impressionist movement and its influence is visible in his work. 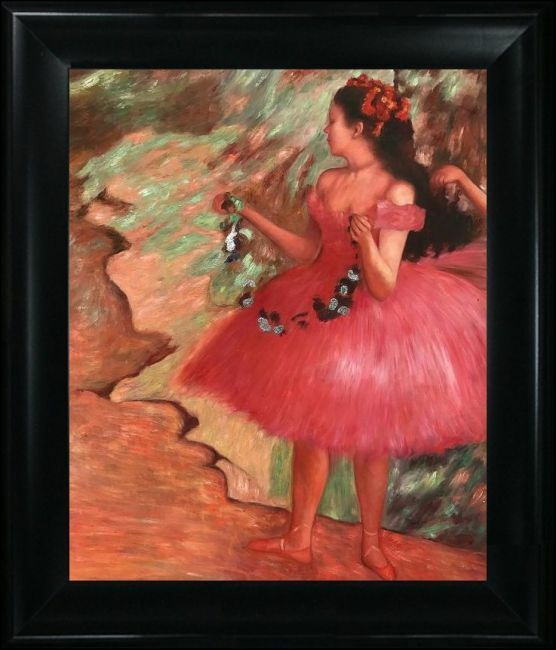 The pinks in her garment are feathery and weightless, yes given shape and form by his choice of colors. 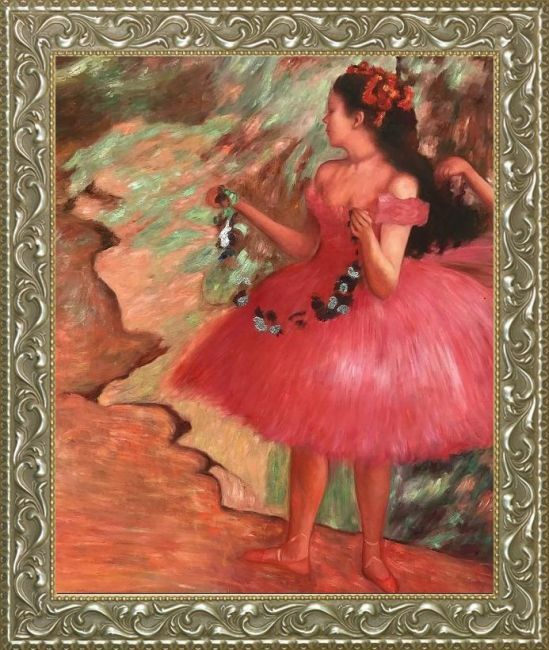 This image in particular may show why he like to be called a realist, as the dancer is not idealized into a classic leaping beauty but is instead shown in the act of preparation; she looks for guidance off stage and holds a prop. 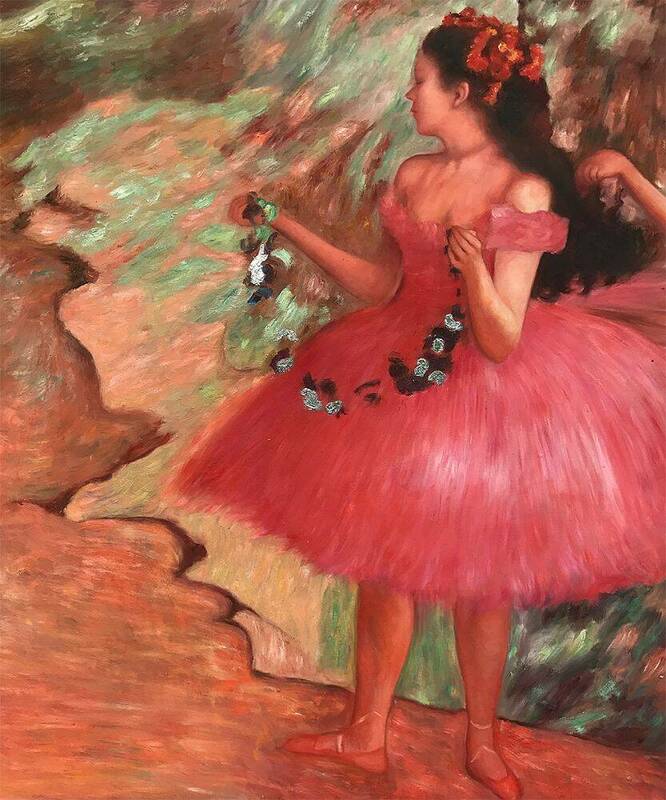 The ambiguous background sets off her tone and figure without drawing attention away. 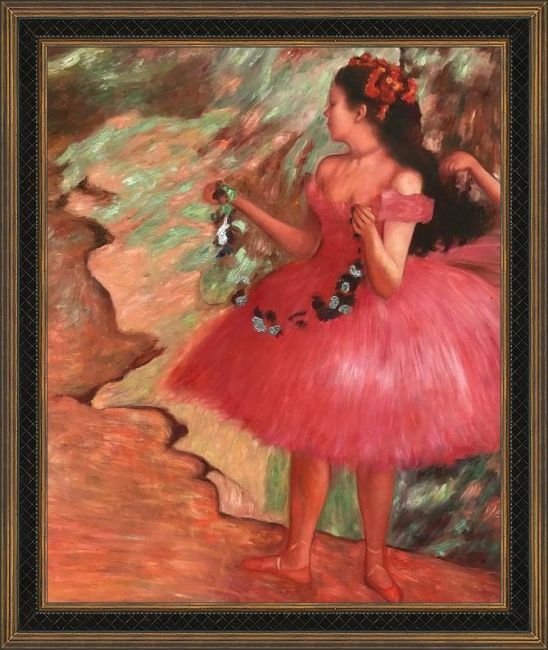 His delicate yet dynamic style has been faithfully recreated by our talented artists so that any admirer may have the opportunity to hang this master's work in their own environment. Not only that but as a part of our Luxury Line this painting features sparkling accents of metallic paint that lend an exclusive glistening character. Color Palette for Dancer in a Pink Dress (Luxury Line) is empty.